The 15-member squad was announced by MSK Prasad, selector of the Indian National Cricket team. As per Prasad, this is India's most balanced side for the World Cup. India has announced the 15-member cricket team for the World Cup 2019 to be held in England. The 15-member squad will be headed by Indian cricket team Captain Virat Kohli. 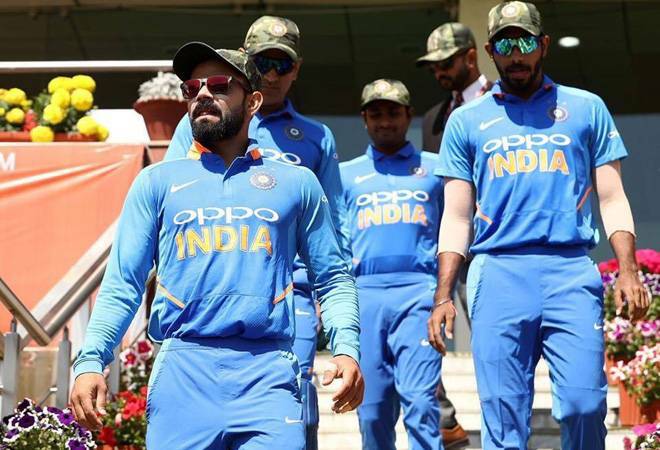 The Indian team will include Virat Kohli, Rohit Sharma (vice-captain), Shikhar Dhawan, Vijay Shankar, KL Rahul, Dinesh Karthik, Yuzvendra Chahal, MS Dhoni, Kedar Jadhav, Kuldeep Yadav, Bhuvneshwar Kumar, Jasprit Bumrah, Hardik Pandya, R Jadeja, Mohammed Shami. Rishabh Pant and Ambati Rayudu were not included in the team for ICC World Cup 2019. Vijay Shankar has been included for the number 4 position. The 15-member squad was announced by MSK Prasad, selector of the Indian National Cricket team. As per Prasad, this is India's most balanced side for the World Cup. "In the team, we have the luxury of 7 bowlers. We have covered all the bases and this is one of the most balanced Indian sides for the World Cup. Khaleel and Saini were discussed and they will be around. If the need arises, one of them will go to England", Prasad said. "We had been planning soon after the completion of the Champions Trophy but in the last month or two, a couple of players like Vijay Shankar cropped up," he added. "The reserve wicketkeeper will come into the XI only if Dhoni is injured. In such situations, who can handle crunch situations? That's why Dinesh Karthik makes it. Pant is unfortunate to miss out," Prasad said. India will begin its World Cup campaign against South Africa on June 5, 2019. The World Cup will be held between May 30 and July 14.